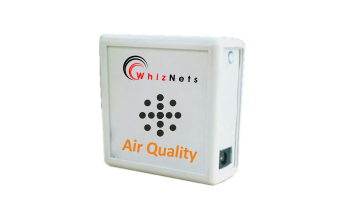 It helps you to quickly and accurately assess air quality parameters. Just place a device in each room to monitor indoor air quality. Device has responsive sensor embedded in a unique, airflow designed box. Made for indoor use, it forwards data to the hosted cloud. Gas quality monitoring cloud services provides you a view into air quality measurements and analysis which can significantly improve the environment and at the same time, save money. Experiment, try opening or closing windows, cleaning filters, etc. and see what happens.